It's been a while, but I wanted to get another blog entry in as we're about to head into a busy next couple weekends with convention appearances. First, though, above is a drawing I did for issue #10 of cereal:geek magazine (on sale now! 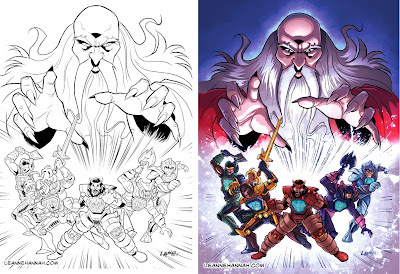 ), featuring a batch of characters from the 1980s toyline and cartoon series Visionaries: Knights of the Magical Light. The above characters were to be released in Visionaries’ 1988 wave of toys but never got past the prototype stage, as the line was subsequently cancelled (alas). I had a lot of fun revisiting the Visionaries again (it’s one of my favorite cartoon series of all time, despite only having 13 episodes), and was blown away by the color work on this piece done by the mighty Andrew Cramer! Always a blast doing art for cereal:geek. Now in convention news... Rod and I will be back at Baltimore Comic-Con this coming weekend (September 7-8)! 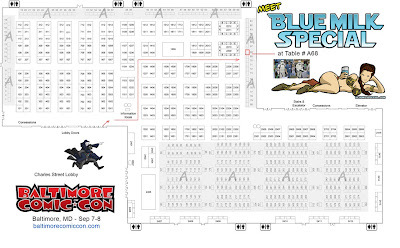 We will be at Table A68, and the Blue Milk Special banner will be flying proudly, with brand new art! I'll also have a new banner of my own, featuring characters in the new children's book series Rod and I have been working on-- Hickory Hippo! We're really excited about our upcoming Hippo tales, and hope to have more to share about this project soon. 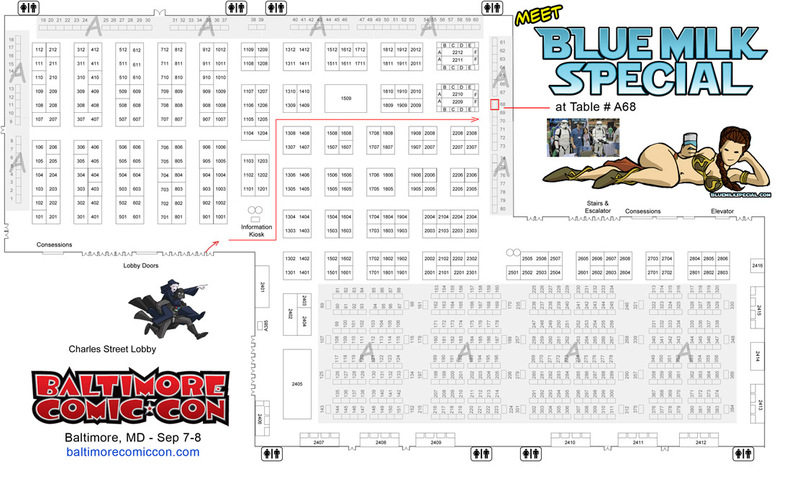 If you can make it to Baltimore Comic-Con, you’ll not only be able to purchase sketches, comics and prints, but also pick up a free BMS bookmark featuring brand new Return of the Jedi art, including Admiral Ackbar. It’s the first time we’ve ever made a bookmark, and we hope you’ll put it to use reading Star Wars novels (and other goodies). We will also have a few of the friendly 501st Legion guarding our table and ready to pose for a photo. And the following weekend on September 14th we'll be in Oaks, Pennsylvania for Retro Con! The show is a toy and nostalgia-oriented convention featuring nearly 30,000 square feet filled with collectibles, artwork and much more. This will be our first appearance in Pennsylvania and we're very excited!